Chinese telecommunications giant Huawei is developing a new AI-powered voice assistant that will have more awareness of human emotions. Other virtual assistants such as the Google Assistant, Amazon Alexa, and Apple Siri primarily serve to inform and take instructions from the user. Meanwhile, Huawei, which already has an assistant for Chinese customers, is now working on new software that will provide emotional interactions. Huawei’s upcoming AI assistant will try to keep a conversation going for as long as possible so that a user does not feel alone, said James Lu, director of AI product management at Huawei’s consumer business group. He added, “the first step is [to] give your assistant a high IQ,” following which, the programming should give it a high EQ (emotional quotient). 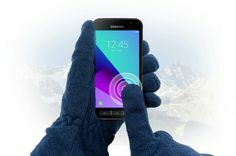 Zhang predicts that smartphone users will soon not be required to touch their handsets to use them, as most of the task will be completed using voice commands. As per the report, Huawei had launched a voice assistant in China five years ago. The company claims that 110 million people in China, use it daily.